Obtaining vital records such as a certified copy of a marriage record, birth record, death record, or divorce record certificate from Pulaski County vital records, you can process your request on the VitalChek website by visiting VitalChek. VitalChek is partnered with the Arkansas Department of Health to process all vital record requests, your request is process as it is received. This process may take two to four weeks to complete your request. You may also visit Arkansas Dept of Health for directions to the local office to place your request, you can find the address listed at the link above under the Local Health Units or visit Local Health Unit. On this site in the search box type in the county and a list of all the office will populate, providing you with the address and phone number. 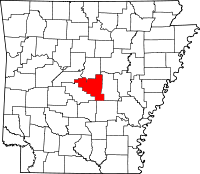 Pulaski County has several vital records offices, utilize the website above to aquire the local office closest to you.